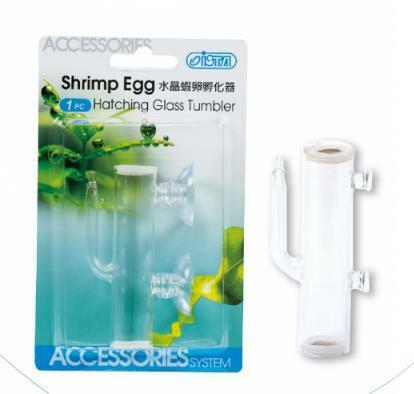 With the help of this incubator eggs of shrimp can be hatched even if the mother animal died before. For this, the eggs are carefully placed in the glass cylinders already installed under water. Then a small diaphragm pump is connected to the incubator, which ensures a slight movement of the water inside. The sensitive eggs are always washed with fresh water. The fine metal grids (approx. 0.5 mm mesh width) on the top and bottom prevent the eggs from leaking effectively. The scope of supply also includes an air valve, which can be used for fine adjustment of the air supply.